Lottery winners have been picked, and we are no longer taking applications. Below Maket Rate unit. Brand New Construction! 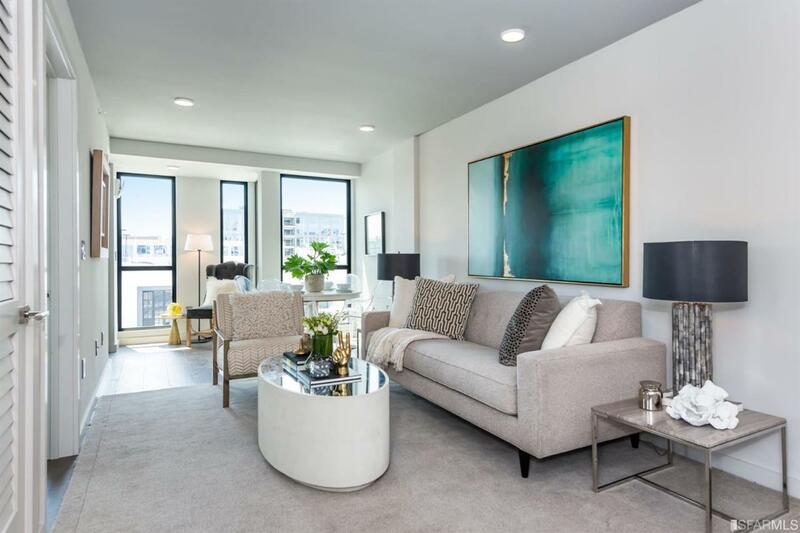 Modern and luxurious fourth-floor, two-bedroom condominium unit at Sutter North! 404 features sleek modern kitchens featuring Italian cabinetry and top-of-the-line appliances, floor-to-ceiling windows, wide-plank walnut flooring, Thermal radiant heating throughout, designer bathrooms showcasing floor-to-ceiling Amalfi ceramic tile and Duravit soaking tubs, In-unit Bosch stackable washer and dryer, and a deeded patio with Marine style IPE wood decking creating the ultimate experience. Photography does not depict a specific residence. Listing provided courtesy of Rebecca Stack of Vanguard Properties.